Like so many people with health issues, we are all searching for a solution, sometimes a quick one but let’s be practical, how lasting would that be? And would it be only a band-aid application? We need to find alternatives too. Too many of us are ‘hooked’ on chemically made medications and sometimes this comes with a lot of side effects, and sometimes, the side effects might be worst that the initial health issue. In this article, Cancer Survivor Stories – Does CBD Play A Role? – we will be looking at CDB Oil and Marijuana and how both have helped this tongue cancer survivor – Ivo Casier. Let’s listen to his story. Diagnosis – Tongue Cancer, What Now? Ivo was just being a normal guy, living his life with zest and challenges like just about most people we know. He was living in the Philippines with his family when he was diagnosed in 2014 with tongue cancer. He decided to return to his native country, Belgium, for treatment. Things did not go as smoothly as he planned and it took him four months before he and his family made it to Belgium and started treatment at the hospital. The doctors there told him that he did have tongue cancer, Metastasis Stage 4. Not great news on any day for anyone. They immediately started a chemotherapy treatment for three months followed by 33 sessions of radiology treatments. The pain was there ‘rearing its ugly head’ and did not go away. He lost 70 kgs to boot. Finally, the medical team decided to operate and remove his tongue and larynx. On the day in question, when he went in for surgery, he found out (while waiting) that the medical team had ‘forgotten’ (a sad case of affairs that breaks my heart when I think about the inefficiency of some people, especially in a case like this) to the required pre-operational examinations. The one in question being – to stop taking his blood thinners because he was also a heart patient. The anesthesiologist refused to go ahead with the operation and so, Ivo decided to go home. He had to take matters of his own life in his own hands, literally. He then decided to go to another hospital. At this hospital, he was told that there was no more tumor and there was no need to operate. The ‘gods had indeed smiled on him’ this time around. He was technically classified as ‘cancer-free’. Life continued, but this time with even more excruciating pain that no-one could ever imagine. He would take 4 Oxynorm each day, as well as 150mg of Morphine every 3 days to try to reduce the pain. At a certain point, he even injected himself with the treatment against the Papillomavirus, because tongue and vaginal cancer are similar in treatments. Then he restarted using Marijuana in a vaporizer because he knew it would help dull the pain. Using a vaporizer was the only way he could do this because he could not handle the heat from a pipe or a joint. He also decided to use CBD Oil which he ordered from Holland. He used this combination for four months as well as a diet of ‘space cakes’ aka ‘little cakes made with marijuana’. Bit by bit, the pain subsided and then he eventually stopped using the Oxynorm and Ibuprofen pain killers. He regained his weight and is now at a healthy 130 kgs. He is content with his life and his progress thus far. He likes to think that he lives a ‘normal’ life, not including the side effects of having had radiation. He lost his teeth, he does not have saliva any more, and he sometimes has a stiff neck. He is quite positive that both CBD Oil and Marijuana helped tremendously with his pains, helped him to sleep, and helped with his appetite as well. Just doing this interview with Ivo, made me feel so thankful for my life and health today. It is a HUGE blessing when you have your health. I know that each situation is different, and the results and effects will be, however, I have been doing research and when it comes to CBD Oil, the results are almost always the same – it does help with health issues – and the more common one being the relief of pain and insomnia. I would like to wish Ivo continued health and support from his family and those he cares about. I also want to thank him for sharing his story in the hope that it will help others in a similar situation or close enough. 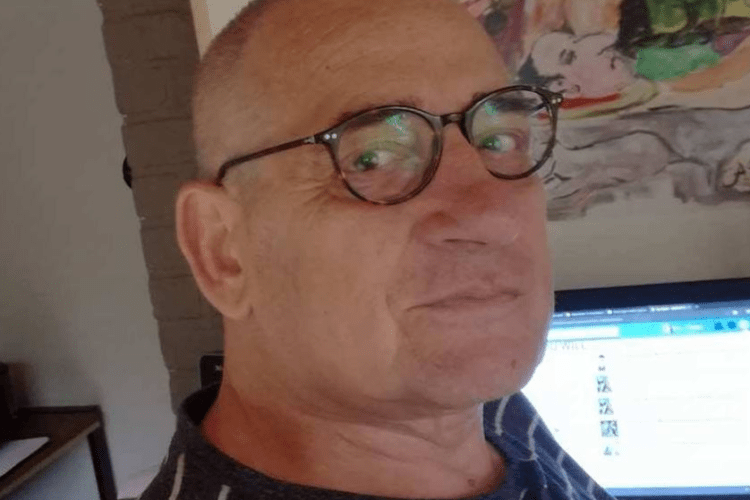 My Final Thoughts On Cancer Survivor Stories – Does CBD Play A Role? No one chooses to be sick, it can and does happen when we sometimes least expect it. One thing we can do, is to prevent health issues as much as we are able to do so. You can also take CBD Oil supplements which help to energize and promote healthy blood sugar levels, support optimal immune functions, helps with cell regeneration and general overall well-being. 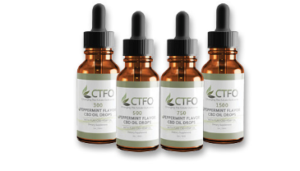 You can read more about CTFO’s CBD Oil Supplement in this PDF – this includes the dosage and the types – capsules and drops. Thanks for your visit and your thoughts. You are not alone, I was also not aware of tongue cancer until I was doing this interview. It hit home because it is about the father of a friend of mine. Life does have challenges, but what is key is how we rise to those challenges. Namaste. I have been thinking about CBD Oil for a while as a viable solution to ward off cancer. Ward off – seems like a strange thing to say, no doubt. My family is huge and riddled with cancers. Some sad funerals due to this condition. I been thinking about preventative. I mean, only just over a year a go we lost another one of us to cancer. Its too much. My Granny had it as well. Doc gave her six months to live. Woman of great faith she lived into old age – full life. She defied the odds and Doc’s don’t know how. Anyways, I will be back in time and be sure to pick your brains on what is the best type of CBD Oil for me. I don’t know if drinking it or something would be best for me – I got taste buds that revolt unexpectedly and a weak stomach LOL!! Thanks again Michelle for this very informative article on cancer survivor stories. I really did hit home with me. Thanks for your thoughts. My heart goes out to you and your family and their challenging health issues. Cancer can rear its ugly head anywhere and anytime, and it is not a great thing at all. Fortunately, there are a few alternative healing health options. They can be preventative as well. I learn from the experiences of others in this respect. Concerning the CBD Oil supplement, they have different flavors to offset the ‘medicinal’ taste. You should check it out. All the best and thanks for your visit. Hi Michelle, 😀 I believe that CBD oil can help anything. It’s amazing how it’s taken this long for it to be released to help people with cancer and every other disease. 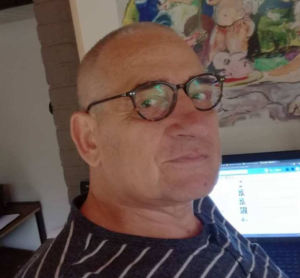 I spread the word about CBD oil on my website and to eveyone I talk to. If survivors are claiming they feel they are cured then why wouldn’t you believe them? Thanks for your visit. Yes, it has taken some time for people to get their ‘eyeballs’ on the positive effects of CBD Oil, and then to wrap their ‘mind’ around the possibility or the stigma attached to it. It is starting to snowball though and I am happy that people are finding help in CBD Oil – Mother Nature’s alternative healing option. All the best. As someone who has a family history with cancer, I’ve always been keeping an eye on articles just like yours. But what you’ve presented in here is something I’ve never heard before. Honestly – I didn’t have a clue that oils can have such a useful impact on the human body. Thank you so much for sharing, I’m bookmarking this page as I type! Thanks for your visit and your kind words. Yes, it is not a ‘nice’ word or experience – the word cancer – and it is very real for some people. There are a lot of alternative medical healing options available and we just need to get the word ‘out there’. All the best. Hello Michelle! I really enjoyed this article, I worked in the cannabis industry for many years and I have always strongly believed in its healing power. I have even heard stories about peoples tumors getting smaller as a result of using CBD oil. To me, these stories have been hopeful hearsay, but this story about Ivo was amazing. I have been wondering for some time, are they making CBD’s that don’t contain any THC, and are these as effective for treating the symptoms of cancer? I am in recovery, and though I know not to worry about the what if’s of the future, this is one that has loomed in my head like a silly rain cloud. Can someone gain the medical benefits of CBD without the mind altering effects of THC? Hello there Kitty and thanks for your thoughts. First of all, congrats on being cancer-free. I am proud of you. I am not at liberty to give out medical advice, please confer with your medical counsel. However, based on Ivo’s story, I am hopeful for anyone in his situation or a similar one. You can also read some more about CBD Oil here in this article I wrote, as well as another about the differences of Marijuana and Hemp. I hope this helps you in some way. Hope to hear your feedback as time progresses. All the best. Hello! I’m from the Philippines and I have to say that if CBD oil really helped him, I am glad. Sad to say, I think CBD oil and its medical properties aren’t being acknowledged by the medical community here yet. With the increasing number of positive testimonials, I think it’s time for its benefits to be given enough attention as the current cancer treatments are expensive and painful to say the least. Thanks for stopping by and sharing your thoughts. Yes, not every country in the world has embraced the goodness of CBD Oil but we are a far cry from where it all began. It will take time and I suspect once every one starts talking about their progress, more clinical studies will start happening and medical minds will start suggesting it more. Of course, the big pharma companies might not like the change. All the best. What a powerful testament to what Mother Nature gives us, yes? And that when we are willing to find ways to live better and take that next step our world changes. May we all find our health. Thanks for sharing this powerful story. Yes, it is a wonderful testimony of Mother Nature indeed. And we do have to be willing to ‘be that change we seek’. Thanks for visiting and all the best. Namaste. Very insightful Michelle. Do you think the Cbd oil could be used in a context of prevention? It’s always very interesting to hear from first hand experiences. I appreciate your thoughts and taking time to write them. That is a very interesting question and in my opinion, I totally agree that CBD Oil can be used as a preventative natural healing alternative. Just like good health, you eat well to stave off illness. And taking a CBD Oil Supplement can definitely be used as such. I wrote about this in an article, which you can read HERE. Give it a try and be sure to leave your feedback. Hi, Michelle. Cancer disease is really dangerous, if not taken care of. People just ignore these seemingly unhealthy diseases, and even the diet has not been able to adjust smoothly, leading and happen some health problems. I admire the spirit of cancer patients in the article, even if his tongue cancer is already very serious, but still try to overcome this difficult disease. CTFO’s CBD Oil Supplements will be very helpful for both the patients of the article and other cancer patients. This should be the most special health product I have ever seen, thanks for sharing. Yes, it is a sad state of affairs when cancer of any kind ‘rears its ugly head’. We really need to be mindful of how we take care of ourselves – mind, spirit and body. I know that anyone can use CTFO CBD Oil for preventative, healing, as well as maintenance. It is just that so many people are ‘afraid’ of being vocal because of the ‘stigma’ attached to its use. However, things are changing when people realize that there is a HUGE difference between their thoughts and the facts. If your time permits, here is an interesting article. Thanks for sharing your thoughts and all the best. It’s so sad that today doctors insist on giving people such dangerous “treatments” like radiation and chemotherapy that can cause you to lose all of your teeth. My own mother went through chemotherapy and ended up with horrendous neuropathy, and I had a client whose vertebrae actually disintegrated from all the chemo she had. So sorry to hear about the effect of radiation on your mother, Andrea. My heart goes out to you and your family as well as others going through this same experience. Yes, I too wish that doctors would promote natural remedies first then use the other ‘stuff’ as a backup – I am sure our bodies would be more thankful, not to mention heal quicker and healthier. Namaste.